Don’t let APA get in the way (Berry, 2015). Today I discovered Cite This Form Me; a Chrome plugin that quickly references websites in APA, MLA, and Chicago style formats, including formatting citations for journals, websites and books. The plugin allows you to save an entire bibliography, as well as share, download and embed in-text citations into your APA style documents with ease. The plugin can also check for plagiarized content and comes with a free downloadable Word plugin that can send your citations directly into your Word documents. 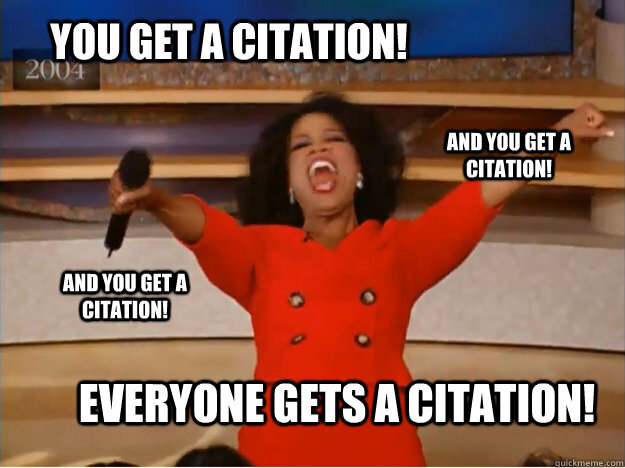 This is a great tool for keeping track of your academic citations. You can also use the plugin to keep track of any useful references that you intend on logging for future works, such as thesis or research papers. Quickmeme.com,. N.p., 2015. Web. 28 July 2015. Berry, S., July 2015 , LRNT 501, Royal Roads University. Victoria, BC. Previous Post I Teach, Therefore I Am. Brilliant, thank you Mark. We can all use a little help with APA. Time to switch Chrome to my default. You’re welcome Judy. I’ve been using this all week. I’ll show everyone how it works in class.